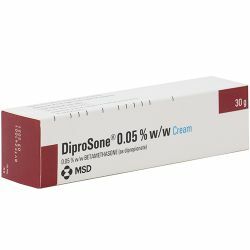 Diprosone Cream 0.05% 30g is a smooth, white cream which contains the active ingredient Betamethasone Dipropionate. 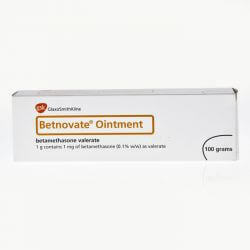 It is a topical steriod which is used on the surface of the skin to reduce the itchiness and redness caused by certain skin conditions. Diprosone Cream 0.05% 30g should be kept out of reach and sight of children. It should not be stored above 25 degrees celcius. When using Diprosone Cream 0.05% 30g you should follow the instructions given to you by your doctor and read the patient information leaflet before use. For external use only. Wash hands before each application. Rub a thin layer into the affected areas of skin twice a day. Avoid contact with the eyes, if this occurs wash immediately with cold water. The cream should not be used on the face for more then 5 days. The active ingredient in Diprosone Cream 0.05% 30g is betamethasone dipropionate 0.064 % w/w (equivalent to 0.05% w/w betamethasone).The other ingredients are chlorocresol, sodium dihydrogen phosphate dihydrate, phosphoric acid, white soft paraffin, liquid paraffin, cetomacrogol 1000, cetostearyl alcohol, sodium hydroxide and purified water. Please read the patient information leaflet provided before using the product. 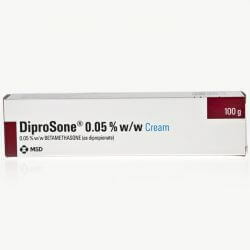 Diprosone Cream 0.05% 30g should not be used if you are allergic to any of the ingredients or on any skin conditions other then the one(s) it has been prescribed for. If you are pregnant, breast-feeding, think you may be pregnant or planning on having a baby please advise your doctor of this. Like all medicines Diprosone Cream 0.05% 30g can cause side effects. Most people find that when Diprosone Cream 0.05% 30g is used correctly, it does not cause any problems. 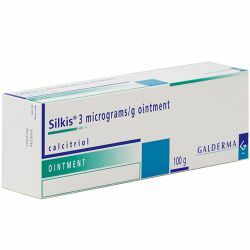 However, if you use the cream more than you should, particularly on your face, it can cause redness, stinging, blistering, peeling, swelling, itching, burning, skin rash, dryness of the skin, inflammation of the hair follicles, excessive hair growth, reduced skin pigmentation, allergic reactions, dermatitis (skin inflammation), other skin infections, thinning of the skin and red marks. If you experience any of these side effects and they become serious, or you experience side effects not listed in the patient information leaflet, please speak to your doctor or pharmacist.